Thin solid silver band, open at the front, with articulated scales with green enamel lined decoration at the two ends. 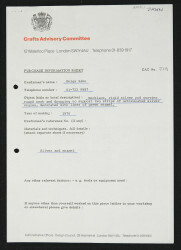 No technique notes in the maker file. 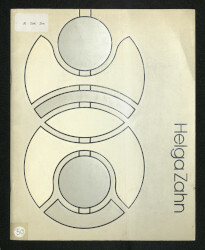 Necklace, Helga Zahn, 1976, Crafts Council Collection: J19. Photo: Todd-White Art Photography. One of the first pieces executed in enamel.